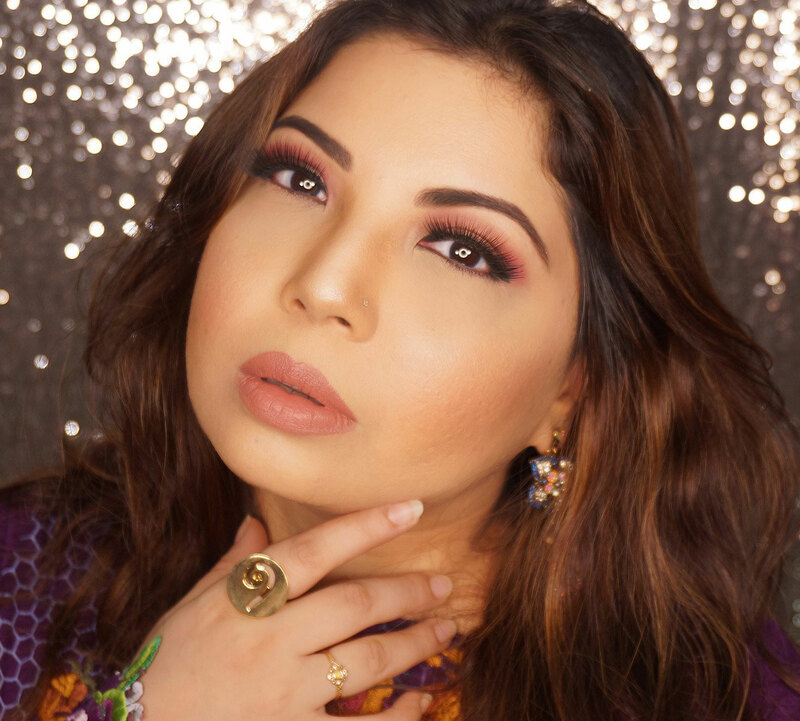 Chand raat, before Ramazan, was spent well because of the National Foods Made Easy Bloggers Meetup.The hunger, However, was not fully satisfied. Keep reading and know why? The meetup, in general, was quite delightful. Chef Saadat was polite and hats off to him for cooking in an alien environment. Many may not understand but a Chef needs his space and a proper setup in order to work their magic to the fullest. He was trying to adapt with the basic tools given to him and still pulled it off. He started with an overview of the National Foods Made Easy cookbook (I still need to grab a copy) as well as the madeeasy.com.pk website with the recipes (or let's stick to online!). These recipes, mainly using National Foods Products, are easy to make, quick and diverse. 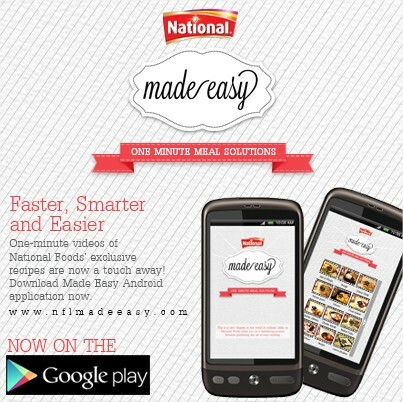 Even though I am all pro food, for some reason I had no idea that Madeeasy.com.pk existed. This meetup was my light bulb moment. Better late than never, I got to learn fun recipes during this meetup which I am looking forward to trying out and, of course, share with you. Chef Saadat shared a few chef hacks, made Masala Dosa and Custard Cone, along with Fruitily Lemonade, from the Made Easy recipes which we all got to sample them. 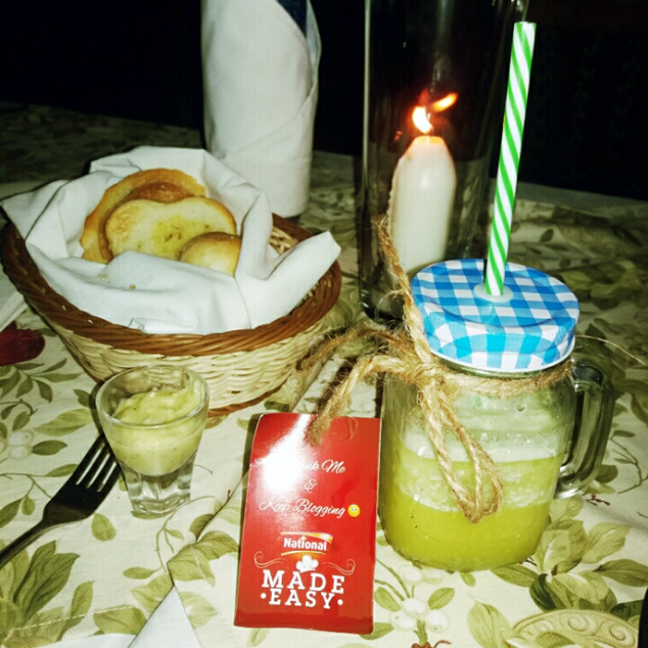 The first option that we tried from the Made Easy series was the Fruitily Lemonade. Fruitily is an instant drink by National Foods. My concern with this lemonade was that to be refreshing it doesn't require extreme sweetness so more water or ice could have been added. The rest of the ingredients like roasted/grounded cumin seeds, mint, ginger, added an extra punch. 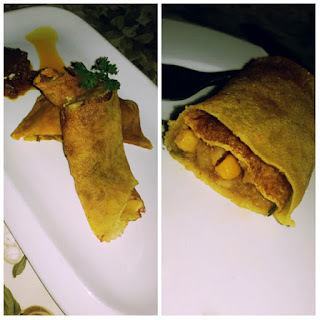 The Masala Dosa was made with crepe instead of dosa batter so the end result was softer than the crunchier dosa we expect. The filling was a flavoursome mixture of roughly mashed potatoes, corn and variety of basic spices. This recipe is going to be up on the website very soon. I must warn you that this was a spicy dish so bite into this knowing that. The Custard Cone is a treat for kids. For me, not so much. I enjoyed the soft, light custard in terms of texture as well as sweetness. 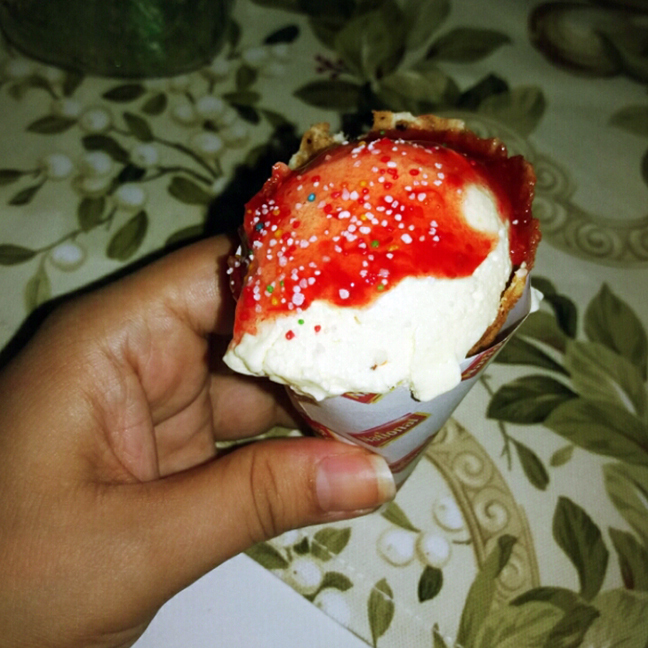 The waffle cone was almost perfection, density can be thickened. The red jam/jelly on the top was a bit overpowering for my palate, a cherry-sized portion on top was all that was required instead of a dollop. 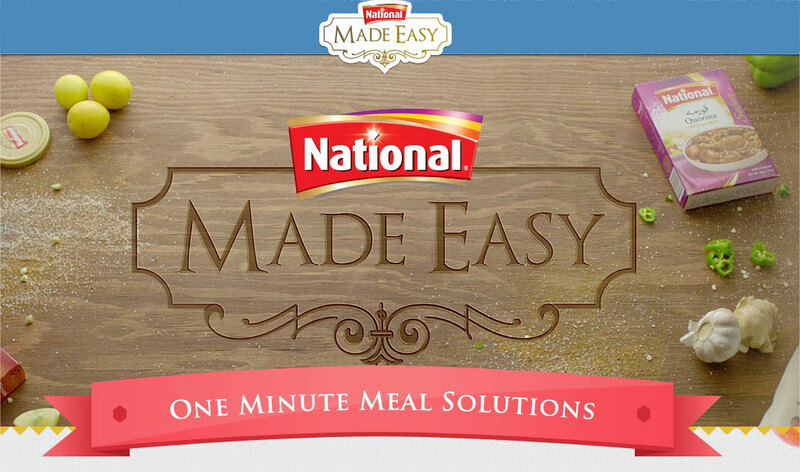 Look out for this mini treat on madeeasy.com.pk soon. The bloggers meetup was at PRANZO, apparently an elite restaurant, so we were further pampered by National Foods by a three-course meal which unfortunately ended in a disaster (Not something National Foods could foresee or should be blamed for). From the Chilli Garlic Prawns to the Pepper Steak, nothing was cooked well and the seasoning was all over the place or nowhere to be found. I literally had to spit my prawns out. The good news was that Pranzo food was not prepared by Chef Saadat which made me regret not having extra Masala Dosas. The Verdict? I am going to visit the website Madeeasy.com.pk as well as download the Madeeasy App so I can try some quick fix recipes. Apart from that, returning to Pranzo anytime soon is not on my agenda. NOTE: Please excuse the photographs. It was extremely dark and I really had to take photos for reference with a flashlight, sigh. I enjoyed your food blogger posts and reading each of the foods that you sampled! I have tried in the past "lavender" and "rosemary" flavored lemonade where vendors put fresh herbs/flowers into the drink for an unique, refreshing drink! I would have like to tried your lemonade! So sad for the pawns but I glad it wasn't the chef fault!